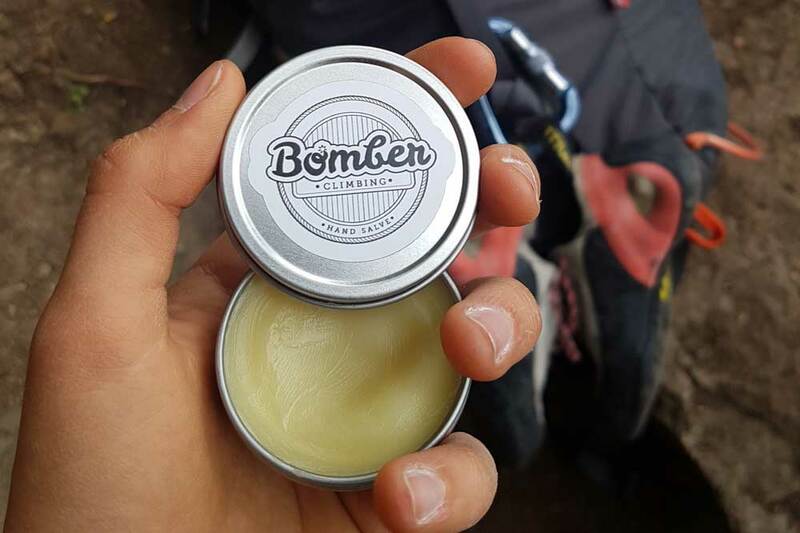 Bomber Climbing is a new company that's focused on producing hand crafted natural skin care products for climbers. 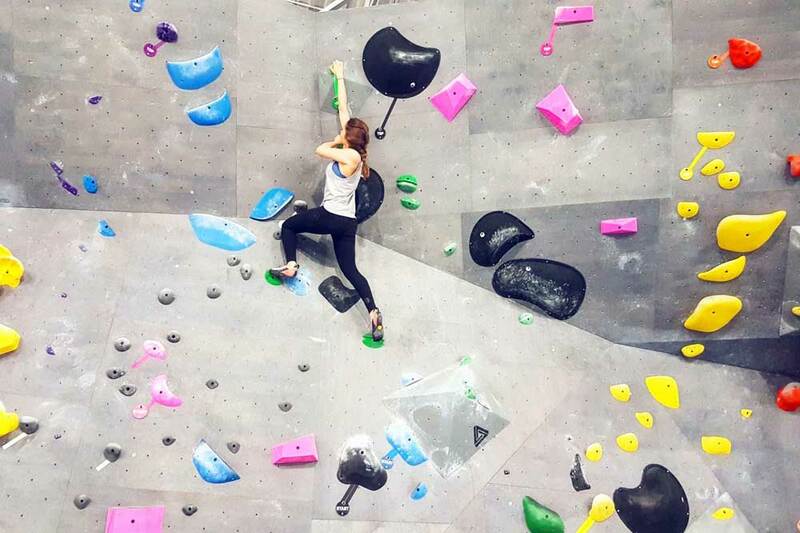 We caught up with Maya Matthews, the owner of Bomber Climbing, and discussed climbing, the need for climbing-specific skin care and the secret ingredients in Bomber Climbing Hand Salve. Ok, let's start out with an easy question. 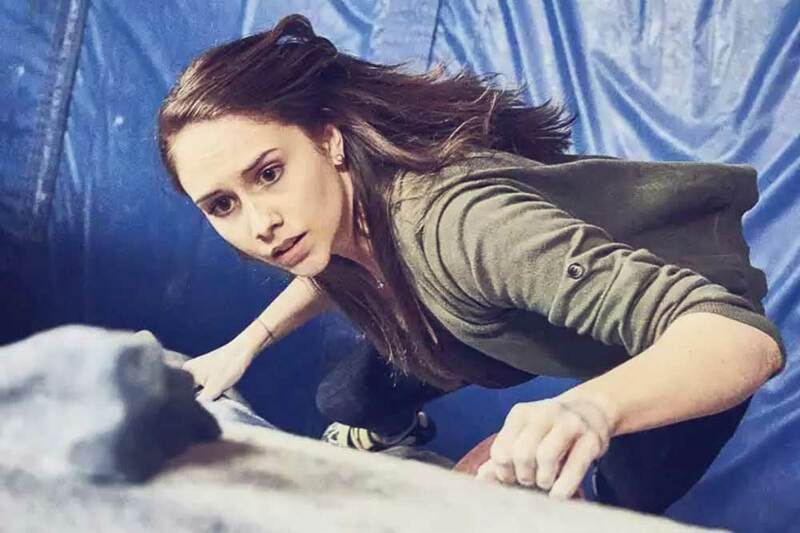 How did you get into climbing? Bomber Climbing: The super-brief story is I wanted to stay active without being stuck counting reps. The longer story is that I discovered the joy of adventure during a trip to Iceland. I climbed and ventured over anything I could find and almost treated the landscape like a playground. I love the feel of the rock, the ability to pull myself up and being dependent on my own strength. When I got back from my trip, I realized that my university (WLU, go golden hawks!) had a little rock wall in tucked away in the back corner of the gym. After bugging my roommates for a few weeks to go with me, I finally decided just to go on my own. I absolutely loved it! So what was your motivation to start Bomber Climbing? Bomber Climbing: I’ve known for a while the importance of maintenance and prevention with respect to health and the human body. So, when I noticed how beat up my hands were becoming and how my calluses got pinched underneath jugs, I started my research. I’m a giant nerd when it comes to research. Anyways, I learned everything I could about skin care and climbing and I realized that I needed a climbing-specific salve that wouldn’t break down or soften my hard-earned calluses. I love to experiment with making products using natural solutions. So, when I ran out of my first store bought hand salve, I decided to give it a shot and make my own. And I loved the way it turned out! 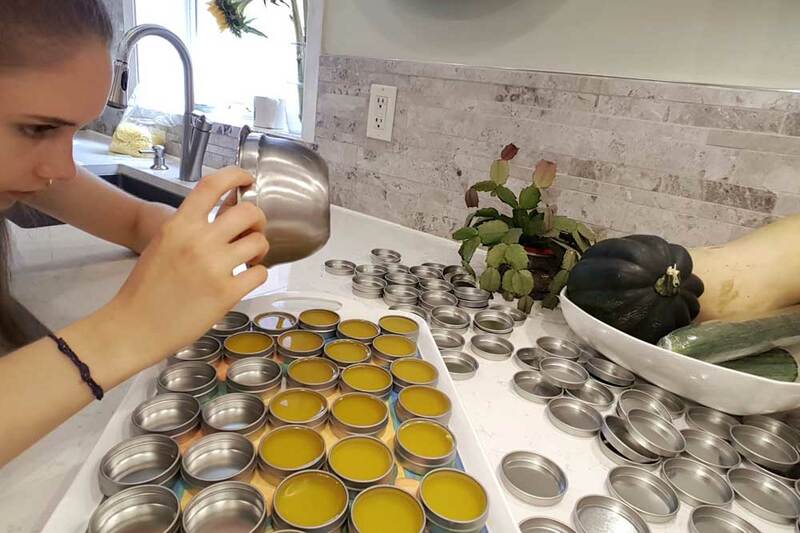 I was using my hand salve creation for about a year when I realized that I absolutely love climbers and the community and I wanted to be an even bigger part of it. There a lot of climbing-specific hand salves on the market right now. What do you think makes Bomber Climbing Salve different/better than the current market offerings? 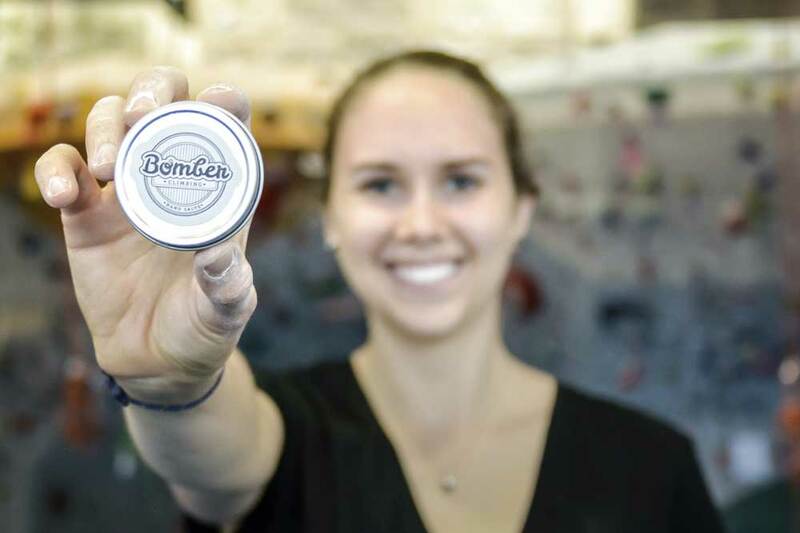 Bomber Climbing: When I started to create Bomber, I was testing out different ratios of wax and oil to try and create the similar puck-feel like my original store-bought salve. By the end, I had a few different test pots for consistencies and while at the time I loved the application of the puck, I preferred the texture of the balm. It was smooth, soaked in quickly and I could use it in colder winter months and hotter summer months without too much change in its consistency. One thing that sets my salve apart from the others is the non-greasy consistency. I've tried out many hand salves, and while I appreciate being able to slather them on before bed, I didn't like sleeping like a mummy and trying to avoid touching anything while my hands attempt to soak up the greasy product. I like Bomber because I can apply it whenever I want during the day and within five minutes it will be totally absorbed and my hands will feel amazing! Because of the natural ingredients in Bomber, you can use it on any dry spots – and the smell is incredible. Speaking of scent, different people end up picking up different tones from the essential oils that I use. For example, I smell cocoa butter and lavender, whereas for some people, the cedarwood essential oil jumps out at them. Then throughout the day as the salve soaks in, different notes of each essential oil can shine through. It’s pretty cool. Will Bomber offer any products other than hand salve? Bomber Climbing: I currently offer a climbing training program and the ability to work with a strength and conditioning coach. Coach Milan specializes in periodized training programs that focus on correcting musculature imbalances while also getting you stronger and more powerful. Sounds complicated, right? Coach Milan knows his stuff! Other than the training program, I love to experiment with different products. For myself, essentially every product I use has been made by yours truly. I’m in the process of developing more products, but they are further down the road. I want to focus on the feedback from other climbers about Bomber to really nail down the product before introducing more items. Something that I would be interested in learning more about would be an intense healing balm which you could use for more acute injuries especially like scrapes, bruises, or cuts. What's your academic background and how do you think that will help you produce better products? 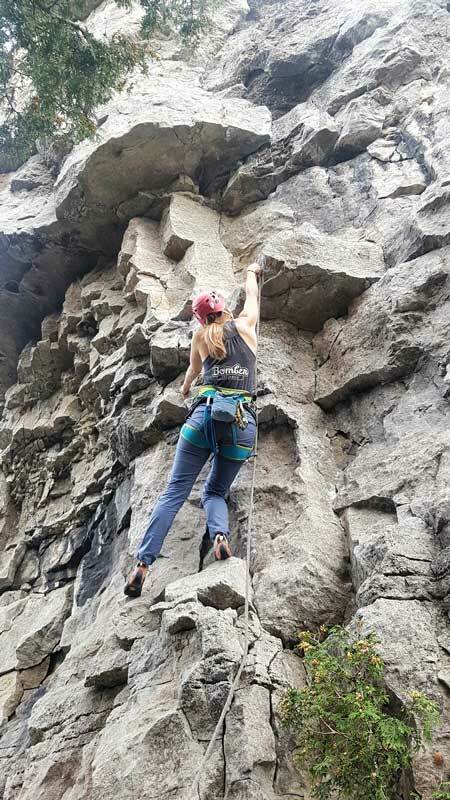 Bomber Climbing: I graduated from Wilfrid Laurier with a Bachelor's in Honours Health Science, and I have just started my journey to become a Naturopathic Doctor at The Boucher Institute of Naturopathic Medicine in Vancouver, BC. 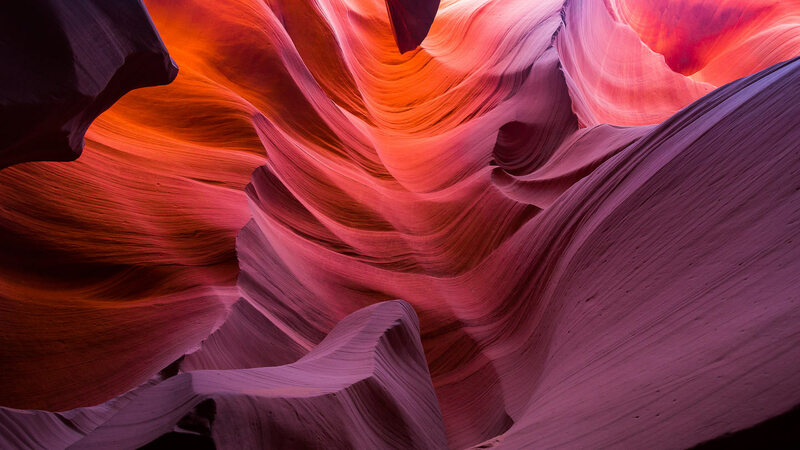 I am super excited to learn more about the natural properties of plants and how to help your body heal itself and I think that this will help me improve my products for other climbers. Where are Bomber climbing products made? Bomber Climbing: Before I headed out west, I made a nice big batch of products at home in Toronto. Moving forward, the rest will be made in Vancouver while I'm at school. Is there anyone else involved in the company? Bomber Climbing: For now, it’s all managed by me. My mum and my sister may start to help me out with making the salves when I need an extra hand. Can you tell us about Bomber Climbing Salve’s ingredient list and why you chose some of these particular items for the salve? Obviously, you don’t have to disclose any hypersensitive trade secrets! Bomber Climbing: I should be able to trust you guys with my trade secrets, right? I mean, Ontario climbers are pretty sweet! My ingredients started out with a lot of testing and experimenting. I wanted components that have a high comedogenic rating, meaning they rest on the first few layers of your skin and help nourish your calluses. I chose to use beeswax for its amazing ability to seal in moisture and create a healthy barrier for your skin. I also like using cocoa butter for its incredible irresistible smell as well as its fast-absorbing and hydrating properties. Apricot kernel oil absorbs quickly and also has antibacterial and anti-inflammatory properties, and sweet almond oil also absorbs quickly and has high amounts of oleic and linoleic acid, which are compounds found in our skin. The high fat content of these oils helps to repair and replenish your hands. 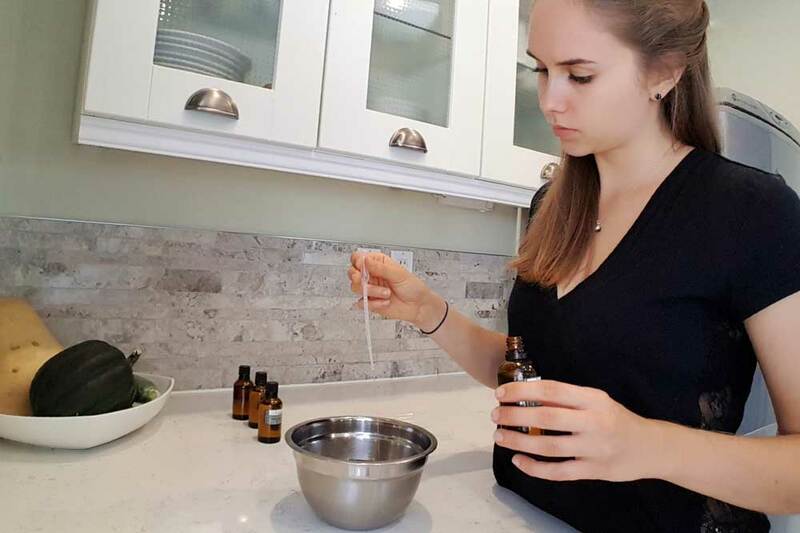 Not only do I use these amazing oils, butters and waxes, but I also add specifically selected essential oils for their natural healing properties. Lavender is one of my favourite oils, which is one of the few essential oils that can be applied directly to the skin. All of the others are far too concentrated and may actually cause harm. I love lavender for its soothing, anti-inflammatory properties. My other essential oils include cedarwood, peppermint and bergamot. Where can folks purchase Bomber Climbing products? Bomber Climbing: For now, they are all available online at bomberclimbing.com, but stay tuned for them to start popping up in gyms across Canada! Finally, any climbing trips planned for this fall? Bomber Climbing: All August I was so lucky to be able to climb weekly (sometimes even more than once a week) at Mount Nemo in Milton. While I’m at school, I would love to be able to keep up with being outside so much! So far, I have been able to climb a couple of times in Squamish and I am so excited to be on the west coast with so many climbing opportunities! My whole fall is essentially one big climbing adventure with lots of mini day trips crammed in between classes.